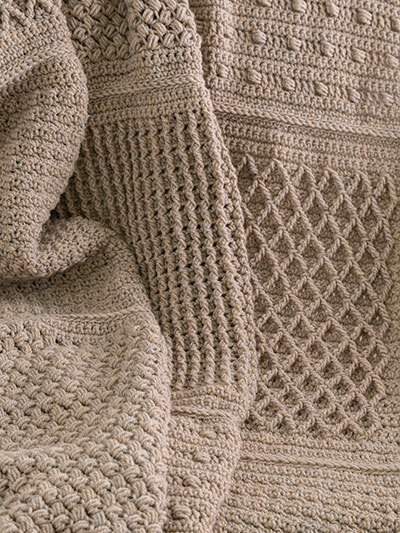 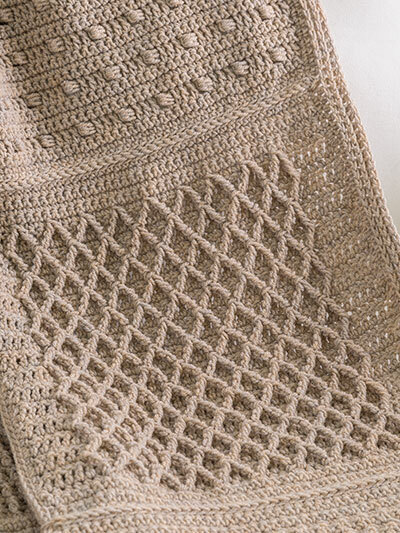 Learn 5 new crochet stitches & make a beautiful afghan! 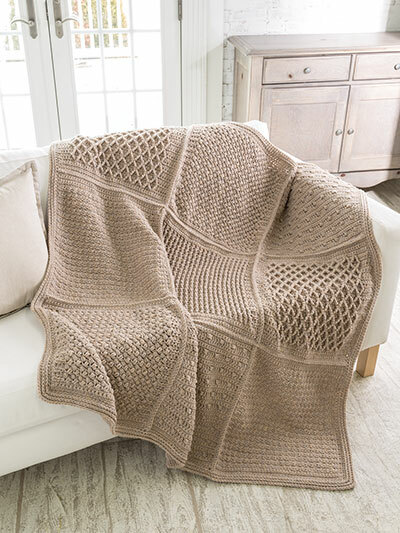 This pretty afghan is made using 14 balls of Plymouth Yarn Encore worsted-weight yarn and a size J/10/6mm crochet hook. 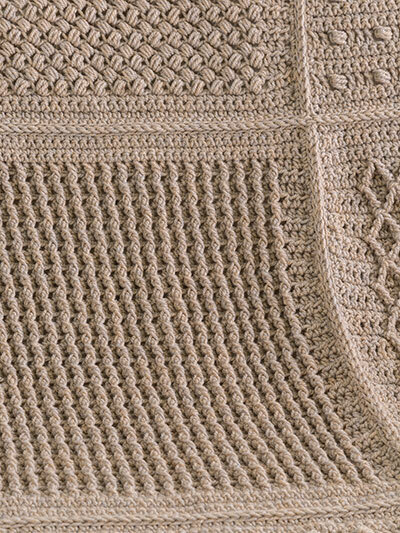 Special stitches include the Bean stitch, Diamond stitch, Seed stitch, Bead stitch and Rib stitch. 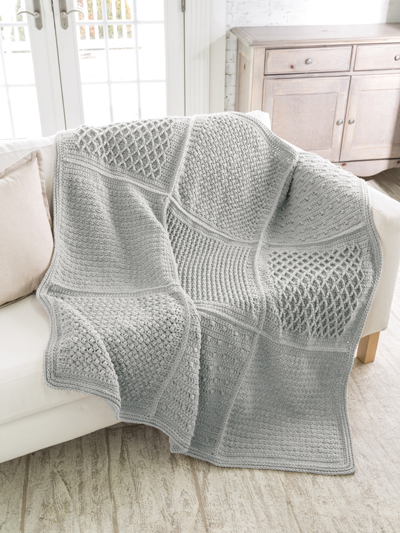 Model design is made using 9 blocks sewn together and finished with a lovely border. 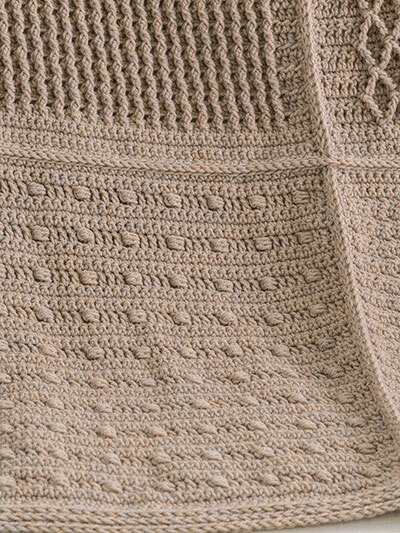 Finished size: 52 1/2" square.